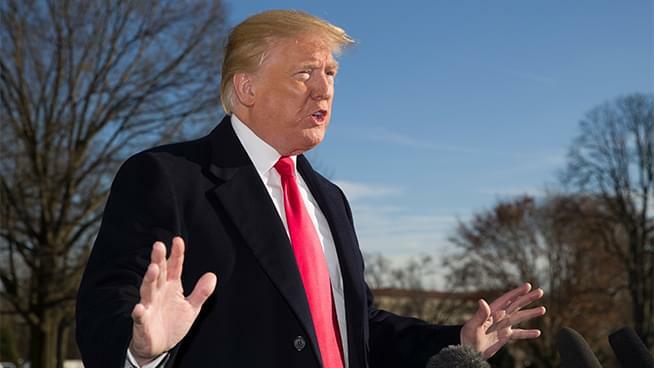 Yesterday, President Donald Trump announced via Twitter that he would address the nation in regards to the ‘national security crisis’ at the United States-Mexico border at 6pm PT/9pm ET on Tuesday night. While the networks deliberated and did not grant him immediate airtime, all major networks including NBC, ABC, CBS, PBS, and Fox agreed to the live national broadcast. An outpouring of concern followed Trump’s announcement regarding credibility issues. Politicians, journalists, and civilians worried about lack of fact checking during the real time address. Regardless, the President’s address will air live from the Oval Office on all networks. This morning, House Speaker Nancy Pelosi and Senate Democratic Leader Chuck Schumer released a joint statement stating that the Democratic party will provide a televised response directly following Trump’s live speech. Below is one of the tweet’s Speaker Pelosi released regarding the Democratic response. KGO will air President Donald Trump’s national address tonight live, starting at 6pm PT.